With the new Twitter update for iPad, Twitter announces a more consistent and uniform experience across iOS, part of their Adaptive UI for iOS. Do you have an iPad? Alright, stop bragging, please, it’s very uncouth. Do you use Twitter on your iPad? Of course you do. We don’t even need to ask if you’ve ever been frustrated with the iPad Twitter app. Of course you have. Everybody who has tweeted via iPad has had complaints. If you also have an iPhone, you must immediately stop bragging, but you will have noticed that the iPhone Twitter app is far better optimized than the iPad Twitter app, though that has its own problems, too. So Twitter has taken note of all the complaints and now there’s a Twitter update for iPad to make it far more like the iPhone app. 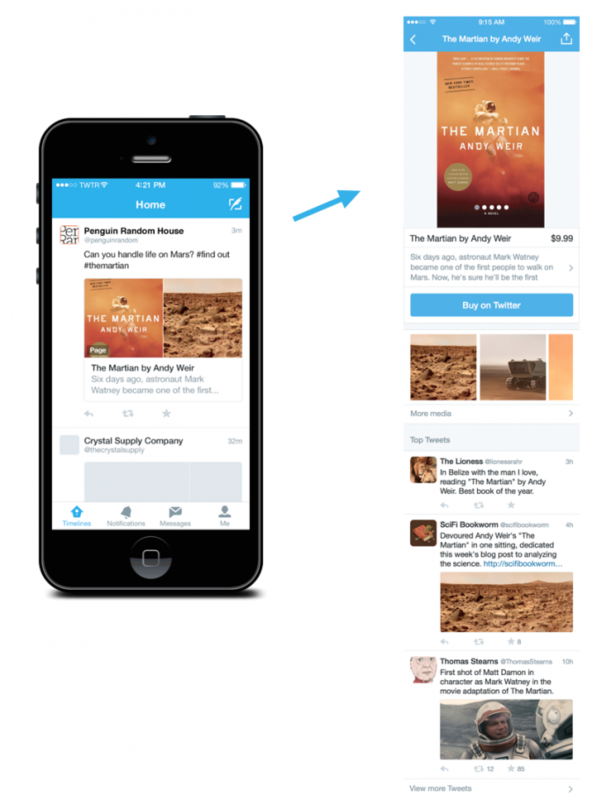 In April this year, quote tweets were revamped for web and iPhones. The Android version was also soon rolled out. But the iPad didn’t have the updated version until now. The capability of exploring trending topics on Twitter in search was not available on the iPad app until now. That was been fixed. Earlier this year, trending topics searches were also changed to give more information about the trending hashtag, as well as let you know whether the trend was building or falling according to number of times it was tweeted. Oddly enough, this feature, rolled out in June 2015, was not available on the iPad till now. This feature collects tweets about a certain place or product (as long as they were partners in this feature) on one page and gives you more relevant information, including letting you know where to find more data or how to buy it if it’s a product. 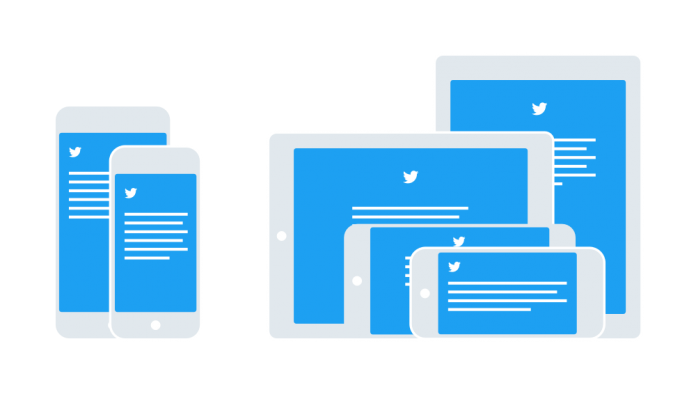 Twitter announced that iPhone and iPad Twitter experiences will now be far more consistent than before, thanks to their responsive web design approach to the problem. They call their new design an ‘adaptive UI’. 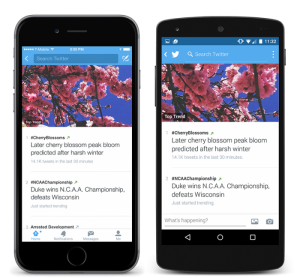 Twitter has announced that their ‘adaptive UI’, which takes into account multi-device problems like screen size, typographic settings etc that would ordinarily required different coding for every new nap for each kind of device, and introduces a responsive ecosystem that can be integrated into all devices with far less time and effort. This, of course, should mean that in the future, iPad users will not have to wait so long to be able to use and enjoy Twitter’s new updates. The idea is that instead of having Twitter for iPad and Twitter for iPhone, now you will have Twitter for iOS, only each device will have a version that is optimised for best user experience on that particular device thanks to adaptive UI. The idea is that instead of having Twitter for iPad and Twitter for iPhone, now you will have Twitter for iOS. Not everybody is a fan. Screen orientation is one of the factors adaptive UI takes into account, but while Twitter on iPad looks fine in portrait mode, when you put it on landscape, it looks like an oasis in a white desert of blankness. The new Twitter for users of iPad can be found now on the App Store, but the actual interface is not available to everybody yet. It’s being rolled out slowly. But will all these new updates be enough to quell the soothsayers of doom who are predicting the worst for Twitter now that share prices have fallen again? Get your popcorn and we’ll wait and see.